United Airlines is adding mainline service to San Jose, CA, years after abandoning Silicon Valley from two hubs. Twice daily service from Chicago began yesterday and once daily service from Newark begins today. Silicon Valley and the entire Bay Area is still booming. But as the region continues to grow, San Francisco International faces capacity issues. Thus, it is no surprise that underutilized Norman Mineta International Airport has seen great domestic and international expansion in recent years. 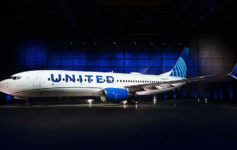 United will use mainline 737-800/900 or Airbus A319/320s for these news flights. No lie-flat seating, but more options for United flyers in San Jose. I love this news because United is showing signs of agressivness. American already serves ORD-SJC and Southwest does as well (from Chicago Midway). By going up against two entrenched competitors, United is showing a willingness to fight for business. United also serves San Jose from Houston and Denver on mainline. Now how about an LAX flight again? Why are you saying they are ‘returning’ UA has flown mainline to DEN and IAH for years. And I mentioned that. But they are returning from Chicago and Newark. I wish they would return to OAK. According to this, UA 1880 is an A320 coming into SJC. But there are only A319’s leaving SJC. How does that work? Would be nice if they flew something other than the nasty A3XX, I’d rather fly through DEN and get on something more comfortable.